Where Does Your School Fall on the Lego Movie Continuum? Last week, my husband and I took our two children to see the “Lego Movie.” I can’t praise the movie enough. 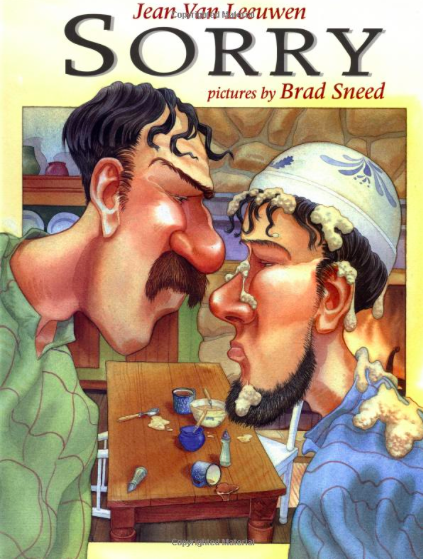 It was funny for the whole family, clean, very entertaining and it had some great messages. Believe in yourself (and your students); everyone is special; there’s a time to follow the rules and a time to break them. As I was talking to my Principal, James Cowper, this past Friday about the movie, he told me he was writing a blog post about the movie from a principal's point of view and invited me to write one from a Teacher’s point of view. This blog post could have gone many ways with this movie and as my husband Eric, and I brainstormed all of the themes this movie had that were symbolic to the teaching profession we settled on the following. The Evil Lord Business – “The Man upstairs” When Lord Business rose to power, he began capturing master builders because of his disapproval of them being innovative and building things that were not made with instructions. Lord Business planned to use the Kragle (a tube of Krazy Glue with some of the logo's letters rubbed out) to freeze the universe perfectly in place. I believe that the “Man Upstairs” in a building definitely sets the tone of a school and can make or break a staff. Is your principal like Lord Business, where he or she has to be in complete control? Does it need to be their way or the highway? If you push the boundaries will you be Kraglized? 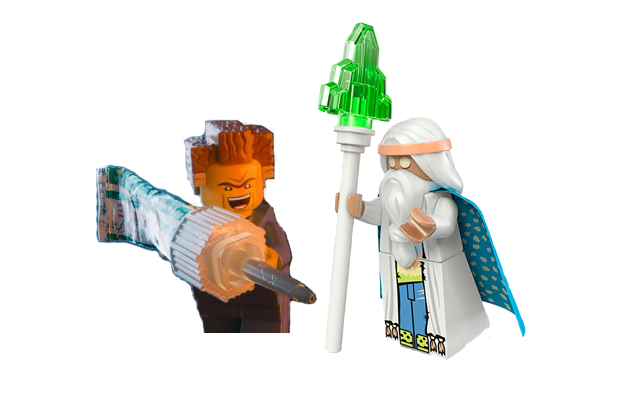 On the other end of the spectrum is “Vitruvius.” In the movie, he is the heroic wizard. He tries to teach Emmet, the main character, that the key to true building is to believe in yourself and follow your own set of instructions inside of your head. A great leader needs to value the uniqueness of each individual on his staff. A great principal realizes that “everything is awesome when we work as a team” and that everyone on staff can rise up to be a leader. School leaders also need to play an active role in planning and supporting instruction instead of demanding how it needs to look like and sound like. Most of all, great principals need to lead by example. 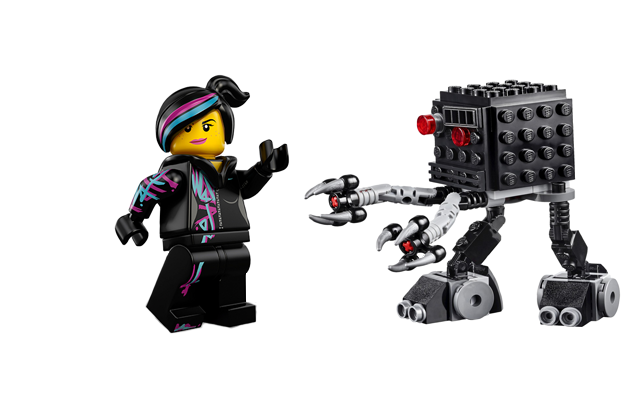 The Micro Managers – In the Lego Movie, the "Micro Managers" were a type of robot used by Lord Business to pose and prepare civilians to be Kraglized (In a frozen perfect state). Micro Managers also put all of the blocks back together following the instruction manual. I see these “Micro Managers” as teachers. On the one end of the continuum, you have teachers that micro manage their classrooms and students. These Micro Managers offer no choice, engagement or creativity. The teacher “manual” is the “Bible” and they don’t deviate from it. There are only lectures, worksheets and textbooks to deliver curriculum, and paper- pencil tests to measure student achievement. This is an environment where students do not value the tasks and the only form of feedback is a grade on the top of a paper. On the other end of the continuum is when teachers are like “Wyldstyle.” Wyldstyle is a free spirit who loves pushing boundaries and being creative. She has a strong, independent streak that makes her question when things are wrong and makes the main character, “Emmet” feel special. She is the encouragement Emmet needs to give him the confidence to stand up to Lord Business. Innovative teachers are constantly pushing the boundaries in their classrooms; they are creative in their thinking and approach. Great teachers know their students, build trusted relationships with them, and create an environment where their students feel comfortable to take risks. Great teachers are not micro managers; they embrace student curiosity and empower their students to learn about topics that are important to them through inquiry. 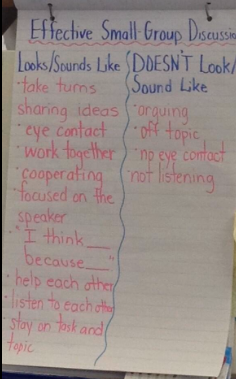 They also give students choice on how they show and share their learning to the audience of their choice. The Master Builders - Master Builders are creative free spirits that can instinctively build anything without instruction manuals. The “Master Builders” are our children. When children come to us beginning in Kindergarten, they are full of questions, curiosity and excitement. They have the attitude that they can do and be anything that they want. Just ask a kindergarten student what they want to be when they grow up. We can foster this attitude, by encouraging personal interests through inquiry, letting students follow their passions and teaching them collaboration skills. This way, they can have positive working relationships with their classmates, their community and the world through face to face interactions and through social media. As educators we have a choice to make every child feel that they are the most special person in the world. Or we can stifle them, with rigid routines, boring lessons and isolation from working with others. We can have quiet, neat classrooms that produce robot like children that cannot create any original ideas and cannot think independently. At the end of the movie, Emmet convinces Lord Business that creativity is not messy or weird, and that it is okay for people to build brand-new ideas from all the things Business himself had made, which makes him special, too. 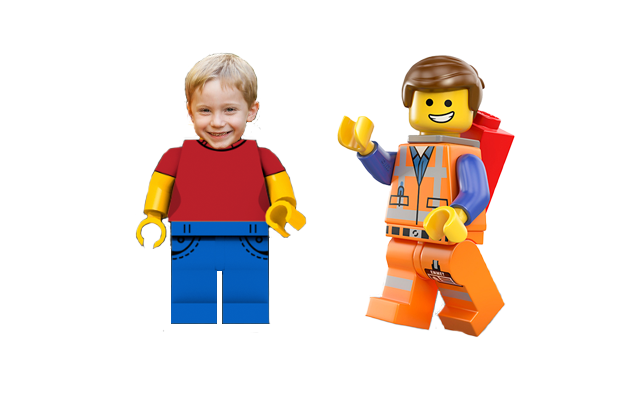 If you would like to see James Cowper's take on the Lego Movie, read it here. I don't know about you, but the weather where we are has NOT been cooperating! I can think of only a handful of times my kiddies have been outside for recess in the past month. This creates a HUGE problem. My kids need to move! 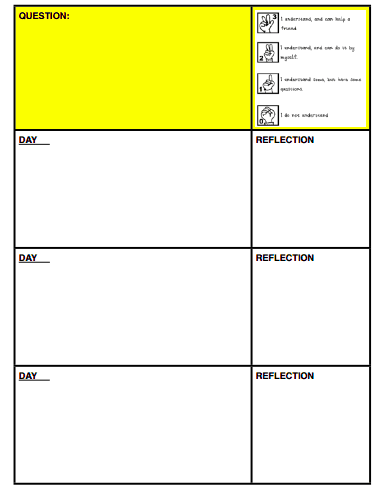 I wanted to share some of my students' favourite activities to do to get the wiggles out. Hopefully you can use them to make the upcoming week of school go more smoothly. 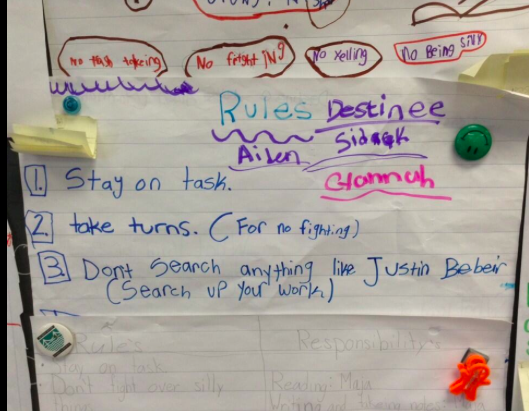 Our favourite brain break in my class is any of the "Just Dance Videos" on Youtube. 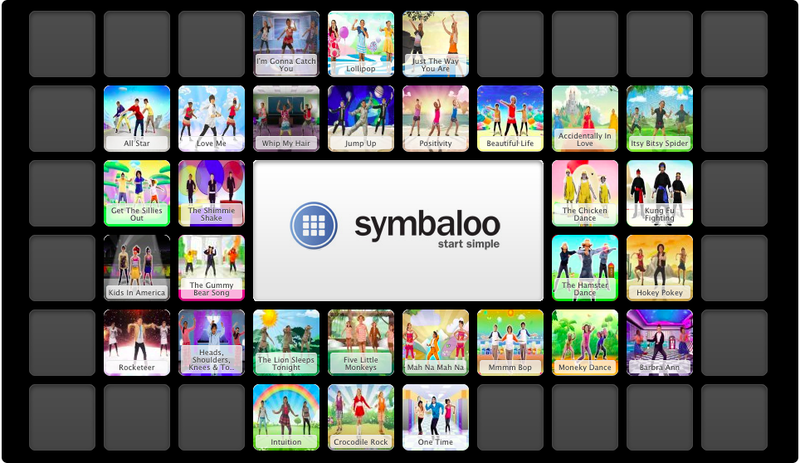 @MauiMickey and the fabulous people at #kinderchat have created many Symbaloos using Safeshare. Safeshare is a website that you can use to take out almost all of the advertisements and commercials of your Youtube videos. 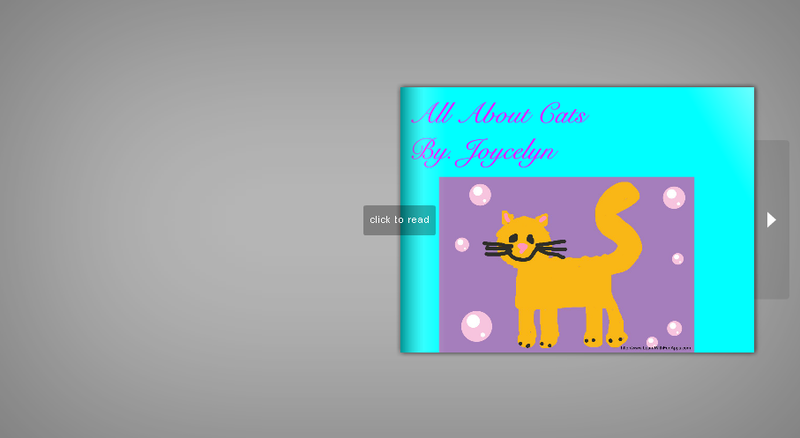 You never know what could pop up after showing a video on Youtube. 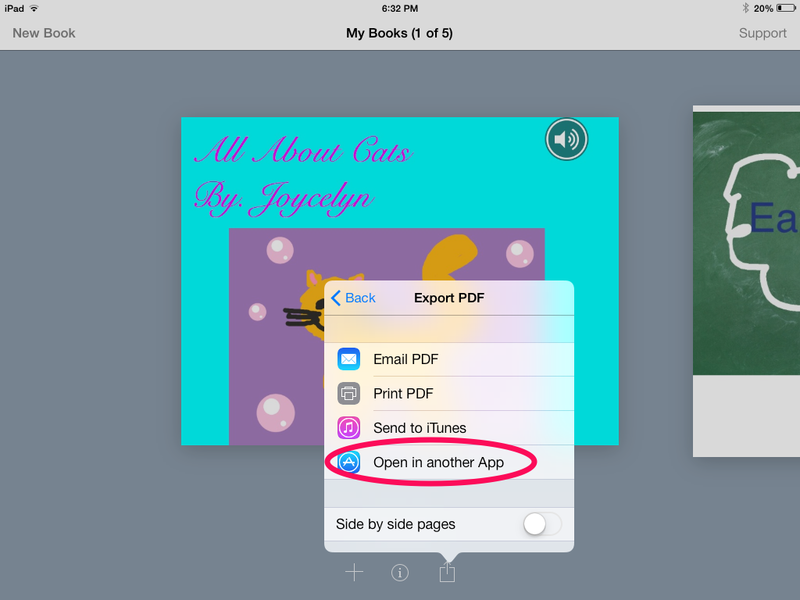 This ensures that the video is safe to show to your kids. 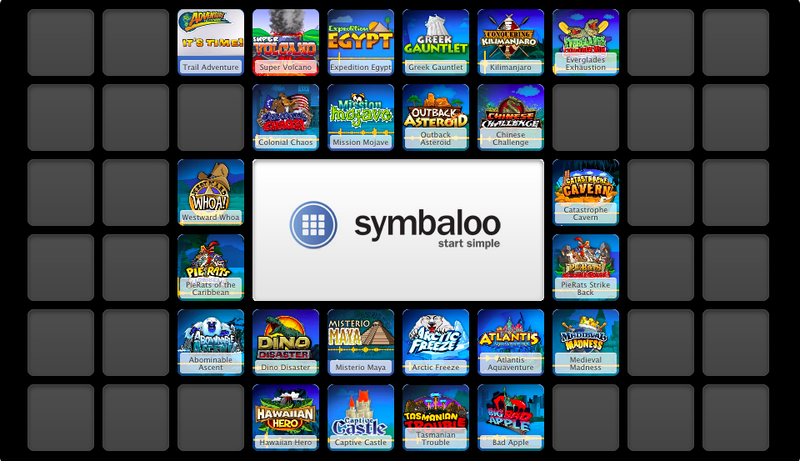 The following symbaloos have already been converted to Safeshare. Another great set of videos to get the kids' blood pumping is Adventures To Fitness. Adventures To Fitness are free physical activity videos that incorporate the common core and have the feel of a video game. If you have boys in your class that don't like to dance, these videos will be a hit with them. 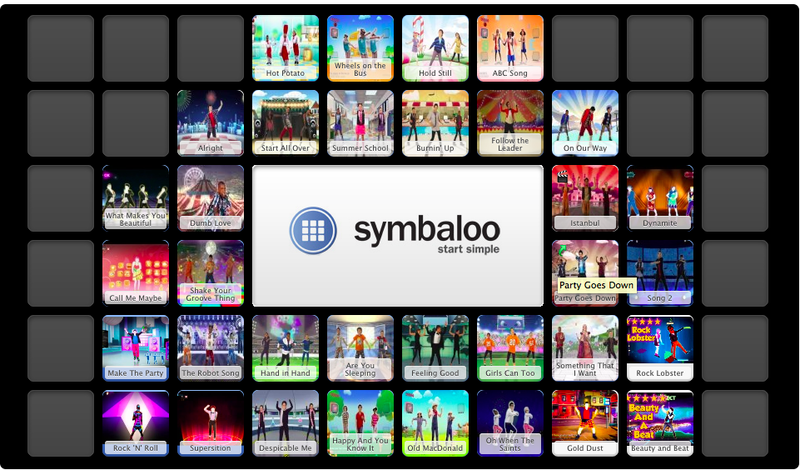 Thank you to my husband @mrwideen for creating the following Symbaloo with Safeshare. Yoga anyone? 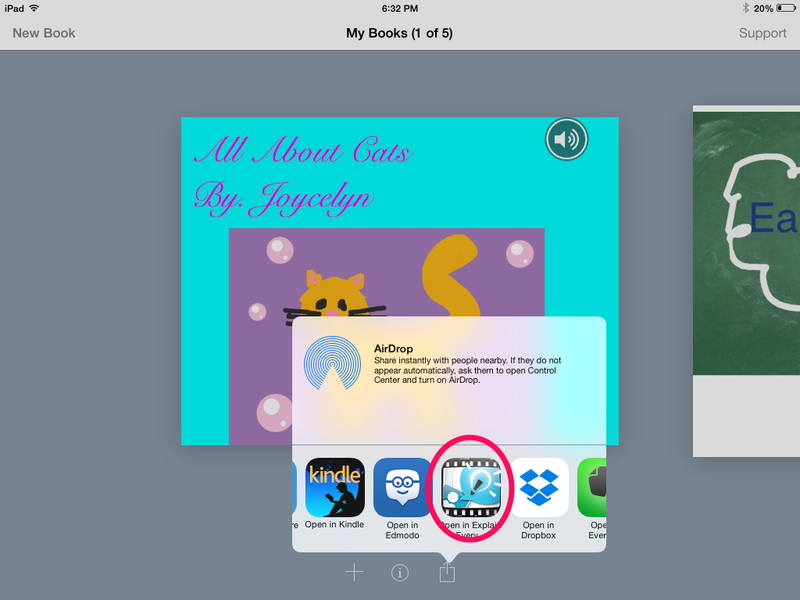 How about yoga for kids with Cosmic Kids Yoga? 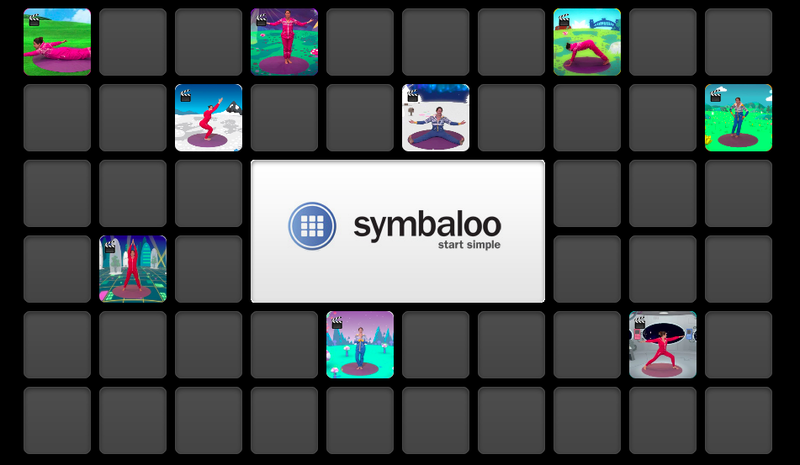 Grab a mat and try this Symbaloo created by Cosmic Kids. 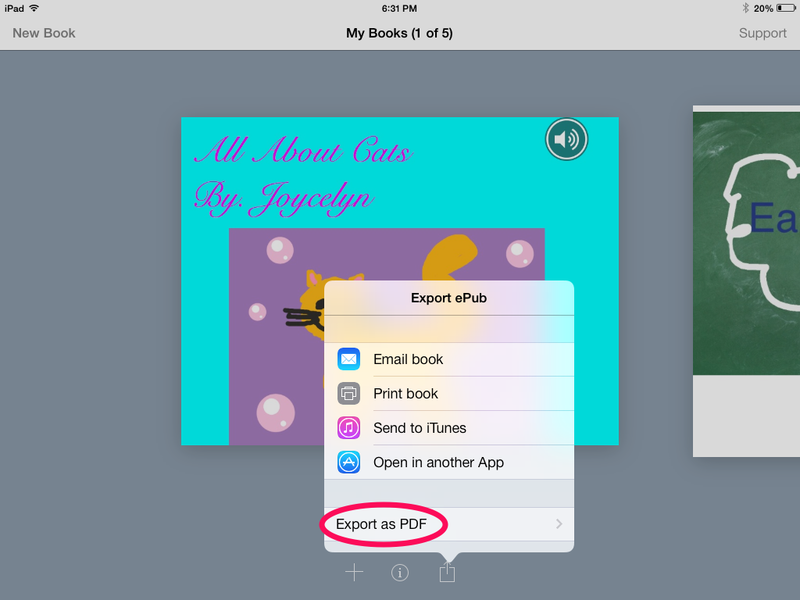 If you don't have a projector or screen to show videos on, how about a couple of fun activities for your students to do during indoor recess? I love this idea I found on Pinterest. 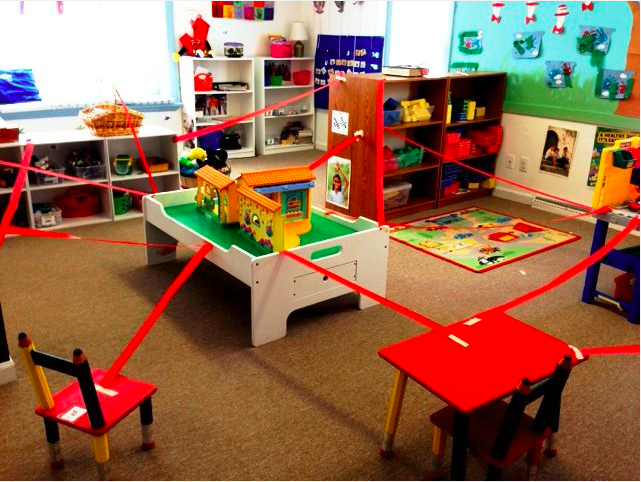 Arrange the classroom with lasers! All day have students avoid the "laser beams." Lots of climbing throughout the day! 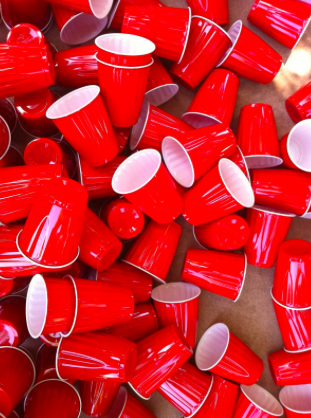 I also love the idea of using red solo cups to build structures. Put a few packs of cups in a box and voila, you have a fun building center that can be taken or knocked down in seconds! I hope some of these ideas have inspired you and arm you with some tricks up your sleeves for the next indoor recess!